Flexible, high-quality roof outlets are available for corners and junctions between the roof and the parapet wall in epdm. 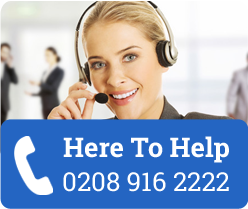 They are manufactured with ribs along the upper surface to aid bonding with bituminous membranes. Wallbarn supplies corner fittings in EPDM material for drainage holes in the junction between the horizontal and vertical plane. Again, the volume of water involved means a fully waterproofed area is essential. 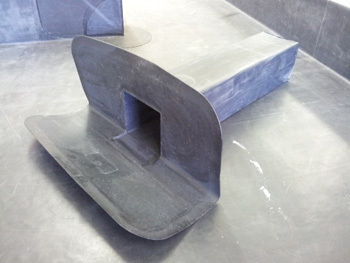 These EPDM outlets can be mechanically fixed and waterproofed over, or they can be bonded to a liquid membrane using the sandwich technique. They are designed to be bonded to EPDM and bituminous membranes. They can be bonded in a sandwich type of installation so the flap is secured between two layers of liquid waterproofing to ensure a good bond. Although the flap or flange is not perforated, the membrane (or adhesive) will still grip onto the material to ensure a good bond. The EPDM will tolerate a temperature of 120°C. Alternatively they can be mechanically fixed or bonded using adhesive. The exact method of fixing will depend on the waterproofing system being used. They ensure that the area is completely waterproofed around and into the drain pipe, so that there is no risk of water creeping behind the drainage hole and causing a leak. The actual hole is either square at 100 x 100mm wide, or rectangular at 65 x 100mm. The pipe or shank is slightly angled to encourage the flow of water away from the mouth and down the pipe. The shank is 425mm long, so it can cross through 40cm of wall before having to be connected up. Being made form EPDM the connector is extremely tough, fully flexible and resistant to UV deterioration and chemical salts. They can be fitted to vertical downpipes at the edge of the retaining wall, or on a horizontal plane through the upstand or wall to then connect to the external downpipe. To ensure a proper seal it is recommended that the waterproofing membrane is beneath and above the rubber profile.